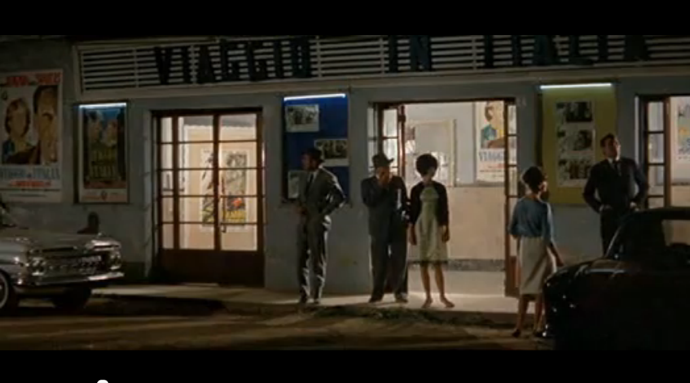 In Contempt (Jean-Luc Godard, 1963), we spot a marquee for Rossellini’s Journey to Italy (1954). Very subtle, Jean-Luc! Can you think of any other notable movie marquees in films? I’m especially interested in marquees that seem to fade into the background or appear as part of the mise-en-scène for no particular reason.